I have removed all the sections in the project.json file which is not relevant to this blog post. Now you can write the test cases using MS Test attributes and execute the tests with “dotnet test” command. Here is the simple asp.net core unit test with MS Test. 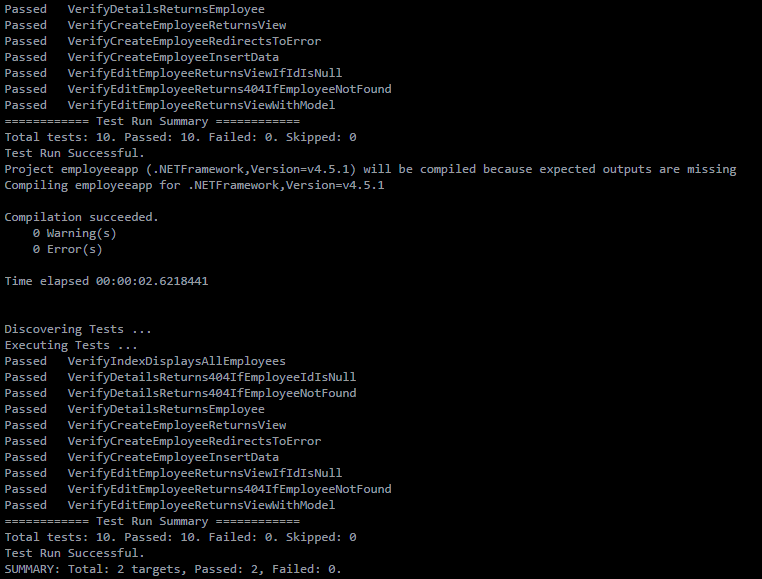 Here is the typical output you will get while executing the tests.